Having an annual physical exam is a part of maintaining female health. 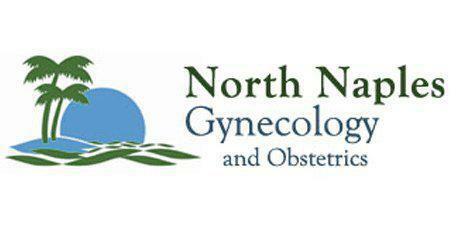 At North Naples Gynecology and Obstetrics, Dr. Hildahl, a Mayo Clinic trained physician, offers well woman exams to assist patients throughout Naples, FL with monitoring their reproductive health. "He truly cares about his patients and makes them feel comfortable." "He explained everything to me and was very caring and compassionate." "It's not common to find such a friendly, knowledgable & NICE staff at a doctors office." "One of the best OB/GYN's my wife and I have ever dealt with." "I recovered very quickly from my 2 c-section and I was high risk." "Dr. Hildahl is the best doctor!" "Reviews online pointed to Dr. Hildahl as the best doctor." "Thoroughly happy I found this Dr. he is competent kind informed gentle man." "Appointment always on time, easy to see him. He is great and very understanding." What happens at a well-woman exam? At a well-woman exam, patients will also have the opportunity to discuss health concerns and inquire about birth control if desired. What happens if the gynecologist found an issue? Some conditions and diseases are only discovered after a pap smear. If this is the case, the gynecologist can recommend an array of treatments and options. More intensive treatments will start that same day and treatments could be an ongoing process. However, this is not always the case; treatment could be as simple as a prescription. If the results are returned as abnormal, the gynecologist will go over them thoroughly and discuss any treatment required. It is important to remember that abnormal results do not always indicate a serious issue, so patients should not overly worry. Oral contraceptives, or birth control pills, are employed to stop a pregnancy from occurring. Progestin and estrogen, hormones produced by the body, are the active ingredients in the pills. These hormones prevent ovulation and change the uterine lining, called the endometrium, and also modify the mucus at the cervix to block the entry of sperm. Birth control pills can also be utilized to assist patients who are dealing with abnormal or painful menstrual periods, a condition referred to as dysmenorrhea, and to address acne. An intrauterine device (IUD) is a soft, plastic tool inserted -into the uterus -to prevent pregnancy. Customarily, IUDs work by either dispensing a small amount of progestin levonorgestrel into the bloodstream or a copper coil surrounds the stem, which acts as a natural spermicide. "He talked me out of having an operation and was able to cure my problem without surgery. I would recommend him to my family members without question." "Very caring, gentle and kind doctor. I've been visiting Dr. Hildahl for many years and find him to be a terrific gynecologist. I would recommend him." "...one of the best doctors I have ever seen. I also see that he trained at the Mayo Clinic which makes choosing him even easier."